Villa Fontelunga is located in an area of Tuscany called Valdichiana (or Val di Chiana), a strategic and an easy stop if you are touring the region as well as Italy. It covered an area of 2,2 hectares, dipped in the largest open alluvial valley in the Appenine mountains, lying on the territories of the provinces of Arezzo and Siena. Hiring a car is essential for those wishing to completely enjoy the surrounding towns and countryside which boasts several point of interest, farm houses and it is famous for its fruit growing and beef produced from the Chianinian cattle (producing the famous Florentine steak). The property is situated 1 km from the nearest Village of Pozzo della Chiana while the closest airport is in Perugia (50 Km). Characterized by a contemporary and informal luxury style, Villa Fontelunga is a charming boutique hotel with B&B service. Crafted from a traditional Villa Padronale, it houses 9 bedrooms, some common areas, a tennis court and a swimming pool, set in the olive groves of the Villa. 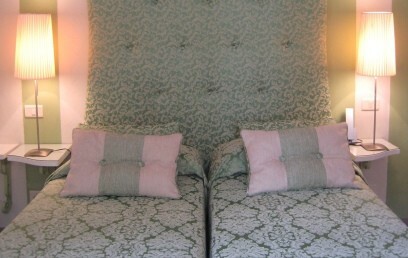 8 rooms are in the main villa and the exclusive Junior Suite is located in an cozy dependence to the side of the villa. 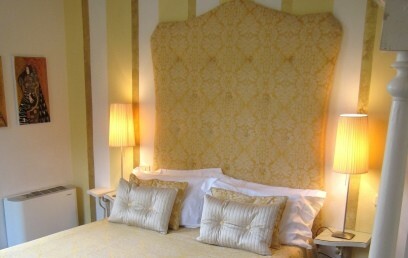 Each room features a personal style and an eclectic mix of antique and modern. They are equipped with air conditioning and en-suite bathrooms and afford a garden and countryside view. Villa Fontelunga offers its guests a continental breakfast usually served on the terrace, light lunches and buffet dinners. The staff is at your disposal to make reservations at one of the many excellent restaurants in the area. On tuesday and friday, the hotel organizes dinner parties which start with a delicious aperitivo (19:30) and follow with a la carte dinner (20:00). Others services can be provided such as a private chief, cooking courses and baby sitters. At guests disposal are also the tennis court and bicycle. Located on the first or second floor, the Standard rooms feature a personal style and an eclectic mix of antique and modern furniture. The en-suite bathroom provides a bathtub. The Standard rooms afford a garden and countryside view. 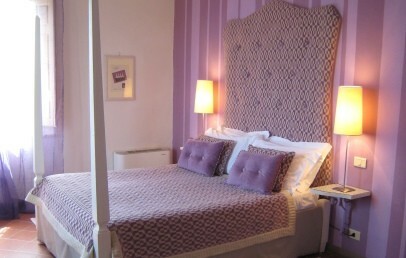 Located on the first or second floor, the Superior rooms features a personal style and an eclectic mix of antique and modern furniture, en-suite bathroom with bathtub and afford a countryside view. Located on the first or second floor, the Deluxe rooms features a personal style and an eclectic mix of antique and modern furniture, en-suite bathroom with bathtub and afford a countryside view. Located in an cozy dependence to the side of the villa, the pen space Junior Suite features a personal style and an eclectic mix of antique and modern furniture and en-suite bathroom with bathtub. It has a direct access to the ground floor and a private outdoor area. Located on the first or second floor, the Standard rooms feature a personal style and an eclectic mix of antique and modern furniture. 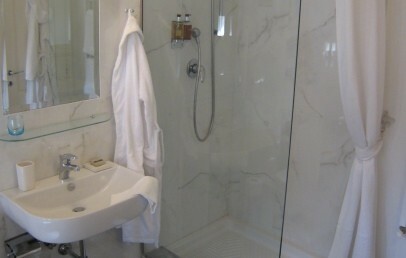 The en-suite bathroom provides shower. The Standard rooms afford a garden and countryside view.